On Monday, June 27, 2016, the Supreme Court ruled 5-3 in Whole Women's Health v. Hellerstedt against Texas’s restrictive abortion legislation, House Bill 2 (HB 2). Whole Women’s Health contested HB2’s mandate that abortion providers have admitting privileges to hospitals within 30 miles of their clinics and that abortion clinics follow the same guidelines as ambulatory surgical centers. The law caused more than half of the abortion clinics to close in Texas. The state argued that following such protocols would protect women's health but research has revealed that since the passage of HB2, women report experiencing increased travel distances, overnight stays, higher out-of-pocket costs, and more difficulty accessing medication abortion. Barriers like these mean that some women have been unable to obtain an abortion until later in their pregnancy than they wanted. Lawyers for Whole Women’s Health successfully presented evidence that the law constituted an undue burden for women trying to obtain an abortion. This ruling is significant for women in Texas and across the US as it is an important step towards improving abortion access. As a result of the ruling, additional abortion clinics in Texas will not have to close and some may be able to reopen. The decision makes it clear that these types of restrictions are unconstitutional, and advocates anticipate that it will create a ripple effect in other states where similar legislation is pending. Since Monday’s ruling, admitting privilege laws in Mississippi and Wisconsin have already been denied further legal review and have effectively been overturned. Alabama’s attorney general also announced that he would no longer pursue an appeal of the overturned admitting privilege law in his state. Phillips A. 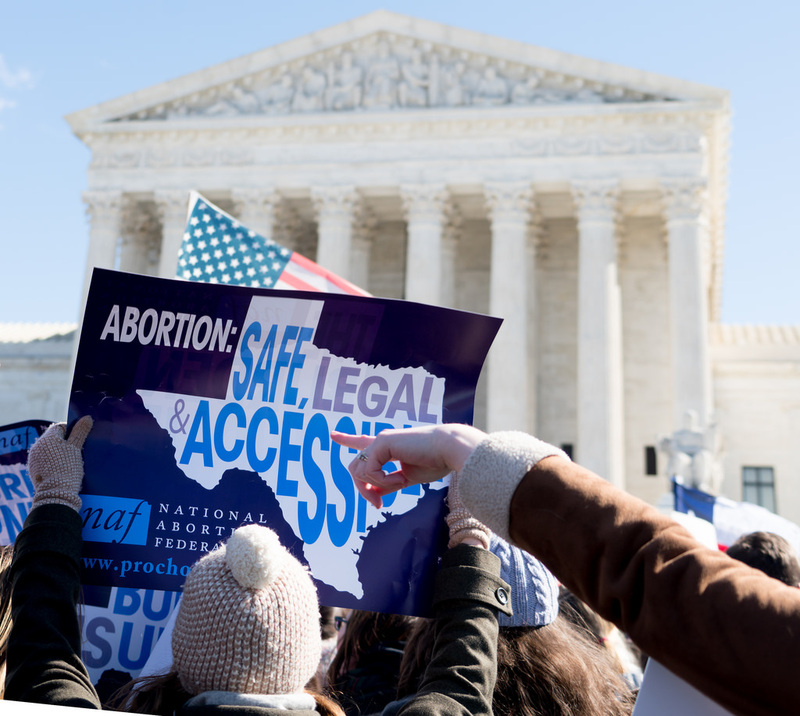 (June 2016) Three states’ abortion laws just fell thanks to the Supreme Court. These states could be next. The Washington Post. Redden M. (June 2016) How the Texas abortion ruling will affect access across the US. The Guardian. Williams P. (June 2016) Supreme Court strikes down strict Texas abortion law. NBC News.